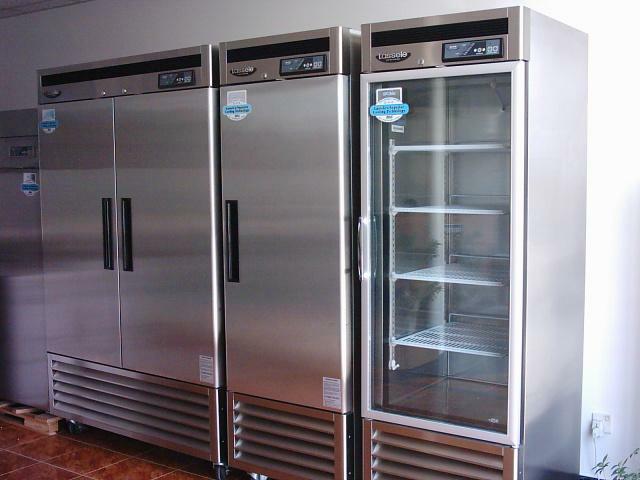 Refrigeration rooms have become a standard solution when businesses require temperature controlled storage. Industrial refrigeration systems are usually needed to store food products, medicinal supplies or anything that can get damaged if the temperature is too high. These industrial refrigerators are purposely built for various applications, but the specifications will be different for different businesses. An industrial refrigeration system for a supermarket for example, will have a completely different size and temperature range compared to an industrial freezer used in a storage warehouse. There are actually some businesses that consider an industrial fridge as a waste of money because it’s expensive, requires costly maintenance, and lack of versatility. Actually that’s not completely true, it all depends on how well you plan all details regarding your walk-in refrigerator. That’s why you need to do a lot of researches before you decide to install a walk-in refrigerator in your business place. Make sure the size is right, it doesn’t take too much space on your business place but enough to store everything you need. You should also ask around and get recommendations from people who have refrigeration rooms in their business places. Also you need to make sure that the installation is done by professionals who really know what they’re doing. Usually refrigeration room providers also provide installation services, you can consult with them before you buy the refrigerator to make sure you have the right one for your business. The biggest problem for most businesses regarding refrigeration room is usually amount of space they take up. For some businesses, free spaces are incredibly precious, they can use those spaces to display more items or whatever it is that can make more money for them. Usually they will find difficulties when they need to expand their businesses or move to another location if the refrigeration room takes too much space. But like it or not, if your business is relying on temperature control, then you need to have a proper refrigeration room, and if you don’t have enough space for it, you’re going to have to another solution. If your business place is too small while you need a lot of stuff to store in proper temperature, a refrigerated container could be a solution. You can purchase such container or hire one. Refrigerated containers are getting more popular these days due to their flexibility. Most might think about refrigeration during transport or shipping when speaking about refrigerated container, but actually it could be a great static storage solution too. The initial cost is much cheaper than a refrigeration room but of course you cannot compare the two in whole functionalities. If you do have enough space, then a refrigeration room should always be your first consideration. Just make sure you find the right one with a proper size, temperature range, safety, and energy efficiency. In case your business really relies on products that require temperature control, then an industrial refrigerator will help you run your business.